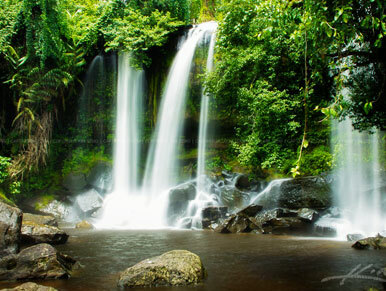 Siem Reap province is located in northwest Cambodia. 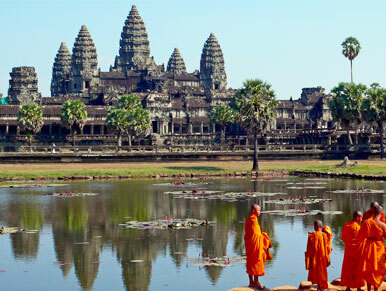 It is the major tourist hub in Cambodia, as it is the closest city to the world famous temples of Angkor (the Angkor temple complex is north of the city). The provincial capital is also called Siem Reap and is located in the South of the province on the shores of the Tonle Sap Lake, the greatest sweet water reserve in whole Southeast Asia. The name of the city literally means Siamese defeated, referring to the victory of the Khmer Empire over the army of the Thai kingdom in the 17th century. At the turn of the millennium Siem Reap was a Cambodian provincial town with few facilities, minor surfaced roads and little in the way of nightlife. Tourism industry catered largely to hardy backpackers willing to brave the tortuous road from the Thai border on the tailgate of a local pick-up truck. There were a couple of large hotels and a handful of budget guesthouses. Tuk-tuks and taxis were non-existent and the trusty motodup was the chosen means of touring the temples of Angkor. The proximity of the Angkorian ruins turned Siem Reap into a boomtown in less than half a decade. Huge, expensive hotels have sprung up everywhere and budget hotels have mushroomed. Property values have soared to European levels and tourism has become a vast, lucrative industry. 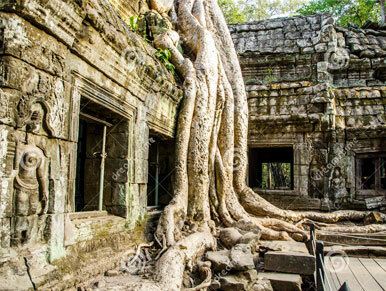 The Siem Reap of today is barely recognizable from the Siem Reap of the year 2000. 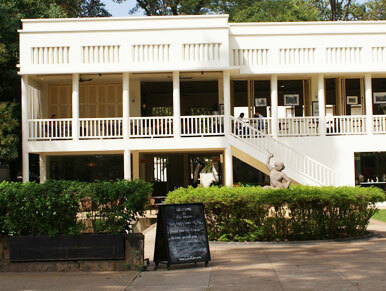 Though some of the town’s previous ramshackle charm may have been lost the developments of the last few years have brought livelihoods, if not significant wealth, to a good number of its citizens. This has been at a cost to the underprivileged people living within and beyond the town’s limits that now pay inflated prices at the central markets and continue to survive on poorly paid subsistence farming and fishing. 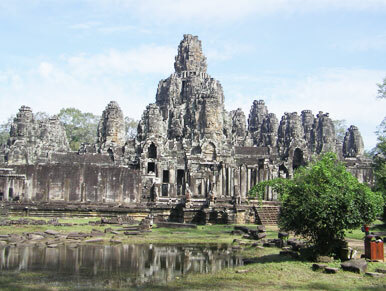 If Cambodia is a country of contrasts Siem Reap is the embodiment of those contrasts. 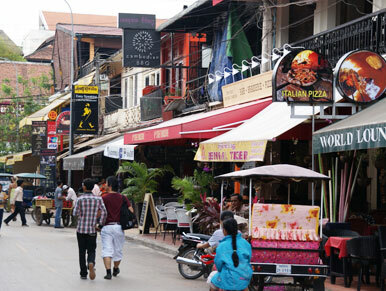 Despite the massive shift in its economic fortunes, Siem Reap remains a safe, friendly and pleasant town. There is an endless choice of places to stay or dine and a host of possible activities awaiting the visitor.